Plant i will be at the Royal Welsh show this year to demonstrate some of the security features that our Tracking system offers. Sports Car Hire company add Bentley to their beautiful fleet . With years of experience and development we have created the ultimate bespoke solution for sports car hire, we are enable to detect tamper, harsh driving, power tamper, key cloning, Ports Alerts, top speed alerts, impact detection and much more. With Incredible cars such as the Nissan GTR, Jaguar F-Type and Aston Martin Vantage, Sports car hire Hire aim to provide you with the top drivers’ choice of sports cars, and the best value-for-money experience. We visited the showroom last week for the Grand Opening and were very impressed with the selection of Cars, based in Shrewsbury . This week we fitted beautiful Bentley Continental GTC Mulliner fitted with a brand new tracker and is now available for hire. Bespoke technology developed by fast-growing Mid Wales telematics company is being used to keep track of four super powerboats in the Venture 2014 endurance adventure from London to Monte-Carlo. Plant-i, based in Machynlleth, has landed the contract to develop a black box tracking device, which will report the location of each of the super powerboats – Cube52, Tally-Ho, Grey Ghost and Hot Lemon – every 30 seconds of the event, which started from London on Saturday. 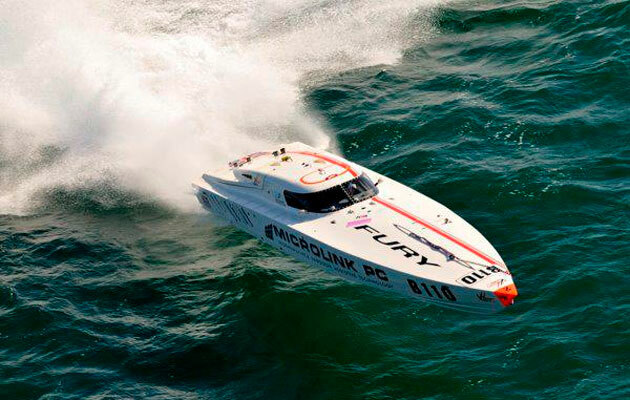 Venture 2014 is billed as the ultimate offshore powerboat adventure, which retraces the most famous race in history from London to Monte-Carlo in 1972. Over two weeks, the powerboats will travel more than 2,500 miles across the very toughest conditions that the ocean can muster, stopping off at nine glamourous locations along the way. From London the powerboats will head to Jersey, then Les Sables d’Olonne in France, A Coruna in northern Spain, Lisbon, Malaga and along the azure waters of the Mediterranean to the end of the challenge in Monaco on June 22. Because of the heavy investment involved in the super powerboats, it’s essential that their owners and event organisers know exactly where they are every wave of the way in case of an accident and breakdown. That’s where Plant-I comes in. The company, which celebrates its 10th birthday this year, came up with a bespoke tracking solution for the organisers within five weeks of being contacted about the job. “We have developed from scratch a bespoke solution that will track these powerboats every 30 seconds over the nine-day adventure,” said Sam Browne, managing director of Plant-i. “Within five weeks we have built a real time tracking platform for the event organisers. “The small tracking box that we are using has been imported from the United States and will withstand a 30g impact. It’s used in military tanks. We have then added all the VentureTrack global tracking technology, which provides 100 per cent coverage worldwide. Aidan Foley, Venture 2014 organiser, said: “A strong tracking solution is a key element to Venture 2014. With most of the event taking place far offshore, this is as true for the officials as it is for fans and spectators. “As organisers, we had looked to existing off-the-shelf options, but found them to be lacking when it comes to the demanding nature required of the technology. Specific additions were required, such as custom support and hardware/software development, which weren’t available on the market. The device is currently being tested on the Famous Vector Martini Power boat this month. Plant-i is an inspiring success story of entrepreneurship, innovation and business growth from humble beginnings. Managing director Sam Browne began the business from a kitchen table at his Machynlleth home in 2004. Ten years later, Plant-i is delivering global tracking technology and market leading vehicle tracking, fleet telematics, risk management, fuel management and asset security solutions to one of the UK’s largest insurance providers and other major companies. Since December the company has tripled the size of its offices on Dyfi Eco Park, taken on six new staff, growing the workforce to 14 and plans to create three more jobs before the end of the year to handle new contracts secured by the fast-growing business. Eco Friendly Installations is a new and innovative company. Eco Friendly Installations is a new and innovative company specializing in radial drilling and the installation of heat pumps for both domestic and commercial buildings, they design, drill and install the heap pump all “in house” with no need for sub contractors or a third party ensuring a great service to the customer. With the added help of the GPS Trackers Eco Friendly can now pull back real time data of all their working machines. The benefits of GPS Trackers can also be passed on to your customers giving them accurate ETA and also reports of time spent on site.